The Tactall Project is co-funded by the EU Leonardo Programme, this "transfer of innovation" project builds on the methods and experience of a previous Leonardo project, ERTD European RuralTourism. * Staff in political and social institutions and organisations who make decisions and policy regarding tourism, particularly in relation to accessibility for the disabled, older people, carers. * Identification of training needs through analysis of target groups in partner countries. * Adaptation of ERTD course structures (www.ertd.info), processes and procedures to new modular training package. * Creation of new learning and e-learning content. * Piloting, trialling and evaluating of the "Accessible City" training package. * Creation of the Accessible City project website/web portal which will facilitate discussion forums and communication. * Investigation of the potential for integration within national curricula and/or qualification frameworks. * Dissemination and exploitation of project results. * Development of the Accessible City Network. The EuRADE project (European Research Agendas for Disability Equality) hosted by the European Disability Forum represents organisations of disabled people within the policy structures of the EU and its associated countries. The EuRADE project has been a research collaboration, in which representatives of DPOs in European countries have reflected on their experiences of academic research and proposed their own priorities to influence the academic research agenda. This has resulted in a significant amount of dissemination and lobbying by EDF in order to influence the funding priorities for research at the European level. We are increasingly optimistic that many of the ideas developed by DPOs are starting to influence those who are making decisions about future funding calls (e.g. in EU FP7), thereby focusing resources on research issues that make a difference to disabled people. Some of the participants produced specific project outlines where they hope to find academic research collaborators to work with them towards funded research applications. They would welcome positive collaborations. The project highlighted the great enthusiasm that DPOs have for research collaborations with academic/research institutions, but also the kinds of concerns they have about their experiences of such collaborations and what needs to be done to improve working partnerships. Much of the material on the website will therefore be of interest to researchers considering the implications of 'emancipatory' research paradigms and the need for DPOs to be involved in setting the research agenda. D.N.I.S. News Network, India: 2007 was a year of landmark developments for the disability sector. India ratified U.N.C.R.P.D. and the XIth Five Year Plan carried a whole chapter on disability. However, 2 years since then, both remain just on paper. N.C.P.E.D.P. in association with Diversity and Equal Opportunity Centre, Bengaluru carried out 5 baseline studies on the current status of the policies and schemes for people with disabilities in the area of health, employment, accessibility, communication and information technology and rural development. This was part of a three year project called "Mainstreaming of Disability in the National Agenda - Policy to Practice" that N.C.P.E.D.P. is working on in partnership with the British High Commission. The objective of the studies was to review existing policies and schemes on physical infrastructure facilities that could and should affect the lives of people with disabilities and to analyse their impact with respect to the actual needs of disabled people. The studies also reviewed the budgetary allocations and their utilisation, and listed out emerging concerns and basic recommendations for further consideration by policy makers. The UK has a website to orient businesses on their obligations regarding tourism and the travelers-with-disabilities market. This ought to be common practice for all nations now that the Convention on the Rights of Persons with Disabilities has been ratfied. Addressing the opening session of the 2005 ICAT at the UN in Bangkok I emphasized that we will see the tourism industry develop a patchwork of disability policies and practices if the disability community did not surface with best practice and policy recommendations of its own (article). According to BTC, at the root of many of the industry's problems, and a major reason there is no national air transportation policy, is that the overall travel and tourism industry rarely acts like a real industry. Unlike many industries, travel and tourism is a collection of independent-minded suppliers of inputs to the travel experience such as hotels, airlines, labor, rental cars, and airport authorities, among many others. The industry is an assemblage of interests toiling away on issues within their individual silos that correctly looks to outsiders, including governments, like it is highly fragmented and seemingly incapable of agreeing on and prioritizing its own problems, let alone solving them. The industry needs to turn away from these constricting silos and toward inclusive coalitions organized around issues of strategic importance to the entire industry. In collaboration with Accessibility Services at United Spinal Association and the RERC on Accessible Public Transportation (RERC-APT), the IDeA Center announces the release of a new course in its online continuing education program. Accessible Transit Facility Design & The Revised ADA-ABA Accessibility Guidelines introduces participants to the minimum requirements for accessibility at transportation facilities covered under the US Department of Transportation regulations. Using the recently revised ADA/ABA Accessibility Guidelines, the course provides an overview of the accessibility requirements that affect transportation facilities that fall under US DOT jurisdiction. It contains podcasts, readings, quizzes, an exercise and online discussions. Registration is now open and will be available until January 12, 2010. The course will begin January 18, 2010. AIA members will receive 15 Learning Hours (1.5 CEUs). For more information about the course, please go here. To register for this course, please go here. If you have any questions, please contact Jordana Maisel (jlmaisel@buffalo.edu or 716.829.3485 x329). BO, November 20, 2009--Before the Bo Sign Language Training Center opened in Sierra Leone, hearing and speech impaired children from the city's neighborhoods faced abuse and misunderstanding at the hands of the local community. "Some of them get into problems with the police or on the road they want to travel from one point to the other but they can't talk and using sign to people who do not understand sign language does not make any sense," said Aminata Vandy, District Coordinator for the National Commission for Social Action (NaCSA). With the help of funds from the National Social Action Project (NSAP), an International Development Association (IDA) funded government program, residents of Bo determined their development needs included a sign-language training center. Using the Community Driven Development approach, they applied for, and received, funding to build a center that would enable them to better communicate with the city's hearing and speech impaired children. "We trained 63 people from all walks of life," said Vandy, whose agency administers the national project. "Bankers, lawyers, nurses, traffic police. We had radio discussions telling people about the project - telling them you should not abandon your ward or your child because they are disabled." The program aimed to ensure that at least some community members could communicate with the children if they were in need. NaCSA brought in a team of sign-language specialists from Sierra Leone's capital Freetown. The trainers conducted weekly classes in the center built for the purpose. Since the inception of the sign-language training center, more than 113 members of the Bo District community in Sierra Leone have received sign-language training. Those members are charged with taking their knowledge to other members of their organizations or offices. The two-room structure also doubles as a school for the hearing and speech impaired. Students receive daily classes that provide the same lessons as standard, state-run schools, but using sign-language. "I do two subjects by day, morning Math and in the afternoon English," said teacher Abubakar Kamara. "Whether I choose to teach Physical Health Education (PHE) or I choose to teach English Composition (EC) by sign method, Reading by sign method and other subjects like Social Studies -- I have developed a sign method so now I can teach each and every subject." In addition to standard lessons, the students also are trained in traditional skills such as weaving and tailoring. The school, which started with 16 students, now has 40 pupils, with more arriving almost daily. "At least every other day, people come with these children--either deaf or mute--to access education," said Vandy. Lessons are held from 8am to 4pm daily. The school now boasts of several graduates, including one young woman who is a seamstress in Freetown, according to Kamara. Though funding to the Bo Sign Language Training Center ended with the construction of the school building and training of community members, center leaders say additional resources are needed to expand the school and provide lunches for the children, many of whom come from poverty-affected homes. "They are telling us now that they are looking for assistance to build more classrooms or even make a boarding school," Vandy said. "Some of [the children] will come to school for some time and they will leave to go and beg in town. If they were in a boarding school with facilities, being fed, then it would keep them in school." The school's four teachers, who now serve on a volunteer basis, are also seeking salaries. In Sierra Leone, local schools must be recognized by the Ministry of Education in order to have teacher salaries paid by the government. The World Bank is working with the World Food Programme to determine if a school feeding program can be initiated. The World Bank is providing $28,000 to the Bo Sign Language Training Center through the Sierra Leone National Social Action Project (NSAP). The project, administered by Sierra Leone's National Commission for Social Action (NaCSA), takes a community driven development approach and includes two main components including a cash-for-work program, and the community. NSAP is an IDA-supported project which leverages counterpart funding from the Government of Sierra Leone at the national level and matching community contributions for each of the hundreds of sub-projects it funds across the country. NSAP has also been the biggest project of NaCSA, a government agency which receives support from several other donors including the African Development Bank (ADB), the United Nations Development Programme (UNDP), the United Nations High Commission for Refugees (UNHCR) and the Government of Germany (KFW). For more information about Heart of Sailing or to learn how you can help, please visit Trang web cá cược trực tuyến www.heartofsailing.org. Kurt Fearnley had just crawled along a 60-mile jungle track in Papua New Guinea. But when he arrived at Brisbane airport a few days later, Jetstar-- an offshoot of Qantas airlines -- asked him to check in his wheelchair. Fearnley, who won marathon gold in the Beijing and Athens Paralympics, was insulted at being asked to give up his independence. He said the equivalent for an able-bodied person "would be having your legs tied together, your pants pulled down and be carried or pushed through an airport." In protest, he rejected the airline's wheelchair and dragged himself through the terminal, in and out of the toilet, and onto the plane. Gold medal for that one, mate! You can follow TravAbility's Bill Forrester around New Zealand's South Island -- but only if you are fast enough! The Mediate Project aims to establish a common European methodology for measuring accessibility. This will lead to the development of a self-assessment tool that can be used by policy makers to identify areas where upgrading will improve the accessibility of public transport in their city. In this way, Mediate will contribute to the provision of better and easier access for all. Download the questionnaire from the right-hand panel in WORD format. Universal Design is a strategy for making environments, products, communication, information technology and services accessible to and usable by everyone - particularly people with disabilities - to the greatest extent possible. Barriers to participation in social life can be avoided when Universal Design principles are applied to mainstream policies and solutions right from the early stages of planning. with a clear focus on the planning process. Deaf tourism in Asia is making headway. Hello Deaf / HOH / CODA / Friends of the Deaf! Planning a trip to Malaysia can be a daunting task. We have a whole range of tours & hotels here covering Malaysia & Borneo (Sabah). Start your search here and you may find a perfect plan for your holiday. Alternatively, contact us for a tailor made tour programme. The tours listed here are specially designed to give you the real experience of each destination. Careful consideration has been taken into account to make the journey interesting and sometimes off the beaten track is included to make it surreal. If you need to make some adjustments to the programme, please give us the details when you send the enquiry. We are totally flexible! Here is the first tour of our Deaf guides with two foreign tourists (2 Deaf from Philippines). Our experience with the local tours is noteworthy. Our deaf guides are locally based and well traveled around Malaysia, use ASL and BIM (Malaysian sign language). You can be assured of firsthand knowledge of the destination and you will get the best advice on your travel to Malaysia. Robert's father has a disability. In this piece he experiences firsthand - as a companion - the usual stuff and summarizes the basics of traveling with a disability. He is blind but can recognise more than 200 types of birds by their calls. He treks in the high Himalayas with gusto, transcending his physical inabilities to commune with nature. Meet Arup Chakraborty, 54, an employee of Eastern Railway's (ER) commercial division at the Sealdah railway station. Chakraborty is a well-known ornithologist, though for him the dictionary meaning of the word as bird watcher would have to be changed. He is also an ardent high-altitude trekker and a visitor to various wildlife sanctuaries across India. 'I developed this habit of listening to birds when I was just a kid. I wanted to see the world but could not as I'd lost my vision at a very tender age due to meningitis. Let's Play is dedicated to ensuring that young children with physical disabilities have the same opportunities for play as their peers. A joint initiative of the Rick Hansen Foundation and the province of British Columbia, let's play offers grants for the creation of accessible public play spaces and builds awareness about accessible play and related best practices. The annual observance of the International Day of Persons with Disabilities on 3 December, aims to promote an understanding of disability issues and mobilize support for the dignity, rights and well-being of persons with disabilities. It also seeks to increase awareness of gains to be derived from the integration of persons with disabilities in every aspect of the political, social, economic and cultural life of their communities. The theme for 2009: "Realizing the Millennium Development Goals for All: Empowerment of Persons with Disabilities and Their Communities around the World" is based on the goal of full and equal enjoyment of human rights and participation in society by persons with disabilities, established by the World Programme of Action concerning Disabled Persons, adopted by General Assembly in 1982. Link For further information on the International Day of Persons with Disabilities. Buoyed by the success of the audio-guide in the Qutub Minar, the Archaeological Survey of India (ASI) has decided to extend the facility to all ticketed monuments here in view of the Commonwealth Games scheduled for next year. "Audio-guides will be installed at all ticketed monuments before the event," ASI Superintending Archaeologist (Delhi) K.K. Muhammad told PTI. The UK's Disability Discrimination Act has been in force since 1995, with enforcement measures fully implemented since 2004. This article looks at where we are now as a country offering accessible tourism, what more needs to be done and the opportunities that exist, especially in view of hosting the Olympics and Paralympics in 2012. It also outlines the role of a new project - Open Britain - being launched in July 2009 by Tourism for All UK and disability charity RADAR. This year?s winner of the Outeniqua Wheelchair Challenge (OCC), Denis Lemeunier of France, is set to defend his title in George on February 20 next year and South Africa?s Olympic long jump silver medalist, Khotso Mokoena, has pledged his support for the event. Lemeunier won the men?s racing wheelchair marathon category in wet conditions in February this year. Next year he will be up against other international athletes, Kenny Herriot of Scotland and South Africa?s Ernst van Dyk who has won more Boston Marathons than any other male wheelchair athlete, currently holding eight titles. Presented by Vodacom, South Africa?s only international wheelchair road race boasts 44 categories over three distances and is open to anyone with physically disability who is able to use a mobility assistive device like a wheelchair, buggy, tricycle, racing wheelchair or handcycle. ?We are on track for another successful event despite sponsorship difficulties and our goals remain the same,? said event director, Esther Watson. ?We continue to try and attract as many people with physical disability to the sport of road racing as possible, particularly youngsters and those from disadvantaged communities, because it has so many mental and physical benefits. At the same time, we are developing an event that is gaining increasing recognition on the international sporting front.? The commentator on the day will again be Ian Laxton, the well-known voice of the Comrades Marathon. The deadline for entries is 30 January 2010. Competitors must be at least 16 years of age to enter the 42,2km marathon and the 21,1km half-marathon in a racing wheelchair or hand cycle. There is no age restriction for the 10km distance, which also allows basketball chairs, tricycles and ordinary wheelchairs. People of any age group can enter the fun event, assisted by a helper. Kempston Truck Hire will be providing transport sponsorship. Individuals and groups needing transport may apply to the event director. For more information visit the OCC web site www.georgeocc.co.za or phone event director Esther Watson on 082 421 9359. Newsflash: Universal Design Plays in Peoria! Spacious. Luxurious. Exquisite attention to detail. Handicap accessible - that's not the first adjective that jumps to mind with Karen Roche's home, but it's the crucial one. This Kiwi Feels on Top of the World! Mark Inglis' recent astonishing achievement of being the first double amputee to reach the summit of Mount Everest has meant that his name is well known round the world, but how many people know about the many facets of this remarkable man's life - his passion for the mountains, his determination to take on a seemingly impossible challenge and succeed, his deep concern for the sufferings of other amputees in countries where there are few health services, his fund raising to assist them, and his skill as a wine maker. All these facets of Mark's life combined to bring about Cellier Le Brun's donation of $18,240 to the Cambodia Trust and its Kompong Chh'nang Rehabilitation Centre. From ENAT: This page contains preliminary information about the ETCAATS project. It will be updated following the project Kick-of Meeting in November 2009. 2). to develop a 'Road Map' for an EU certification system for the area of accessible tourism vocational training, in line with the European Qualifications Framework. The target groups for the course include employers and personnel in the tourism industry. The ETCAATS project aims to have a direct impact on the tourism sector by enabling tourism providers, who have taken the course, to make their offers accessible for the 127 million Europeans who are looking for such facilities and services. The project will make a direct contribution to national vocational training for the tourism sector by providing an online resource which can be directly used in teaching and learning by training institutions. The certification of accessible tourism training will enhance the importance and relevance of catering for disabled and older persons in the tourism sector, which in turn will help Europe meet its obligations as a signatory to the UN Convention of Equal Opportunities of Persons with Disabilities, 2006. 4). the European Qualification Framework. The Consortium is made up of partners experienced in accessibility and training. They will collect, adapt, update and package innovative material to serve as online courseware. They will work with ENAT to propose a certification programme for European, national, regional and local vocational training systems. Pilot testing will take place with trainees from social partners and companies, including at least 3 small and medium-sized tourism enterprises (SMEs) in each participating country. A tested model of the "ETCAATS - European Training Certificate - Access for All in the Tourism Sector" will be offered via an online training environment, providing a standard for a transferable qualification based on modular and extendable courseware. The training framework and tools will provide a Europe-wide reference for future training courses in accessible tourism, leading to a moderated, effective and efficient delivery and certification of access training in the tourism sector. Vellinge Municipality, Sweden (Project promotor). Some Days it is Good to Get "Irked!" Warren Macdonald knows a LOT about motivation. He famously (see appearances on Oprah, Larry King Live, Vicki Gabereau, The Hour with George Stroumboulopoulos, etc) survived a harrowing, agonizing ordeal while mountain climbing, when he was trapped beneath a one-ton boulder in a freak rock fall. Macdonald's test of will lasted two full days before a helicopter arrived. He was rescued, but the accident cost him both legs. Ten months after becoming a double above-knee amputee, Macdonald, who currently lives in Vancouver and travels worldwide as a professional speaker, climbed Tasmania's Cradle Mountain "using a modified wheelchair and the seat of his pants." integration, and they are all working on that goal." this past summer's disability rights leadership exchange to Costa Rica. Go to HabenTravels to read more. La viceconsejera de Comercio y Turismo, Pilar Zorrilla, presentó hoy en el Parque Tecnológico de Bizkaia el Modelo Vasco de Accesibilidad Turística que, según indicó, "representa una oportunidad" para cumplir los objetivos de "una política dirigida a mejorar la calidad, así como a la desestacionalización y la diversificación de la actividad turística". Durante una conferencia enmarcada en la Semana de la Ciencia, Tecnología, Innovación, Calidad y Excelencia, la viceconsejera defendió "el turismo para todas las personas o turismo accesible" y explicó que este proyecto "surge de la necesidad de proporcionar a las personas con necesidades de accesibilidad -tanto residentes como turistas- y sus familiares y amigos, un servicio turístico de calidad, seguridad y confort en los establecimientos turísticos de Euskadi". De este modo, con este programa que trata de potenciar la mejora de la accesibilidad, se pretende aportar "un elemento de diferenciación y valor a?adido" a la oferta turística del País Vasco. "La realidad de mercado muestra que el nivel de accesibilidad actual de los establecimientos no es el óptimo, no hay un referente de accesibilidad que garantice la misma, ni existe una oferta consolidada de productos turísticos concretos para ese segmento de la población", indicó la viceconsejera. Sin embargo, advirtió, en la actualidad, la tasa de personas mayores de 65 a?os en Espa?a es del 16,6 por ciento y se espera que aumente hasta el 20 por ciento para el a?o 2020 y hasta el 36 por ciento para 2050, y la tasa actual de personas con alguna discapacidad en Espa?a es del 9 por ciento, que se eleva al 15,7 por ciento a nivel europeo. Según indicó, sólo en Europa, la demanda de accesibilidad se sitúa en 127 millones de personas. A ellos, se a?aden quienes tienen necesidades temporales de accesibilidad por diversas causas. En este contexto, consideró que las administraciones tieneN la responsablidad de trabajar para garantizar el derecho de todos los ciudadanos al turismo". Asimismo, subrayó que "el potencial económico es evidente", teniendo en cuenta que el 70 por ciento de la población que demanda accesibilidad "tiene tanto la motivación como el poder adquisitivo para viajar" y el mercado potencial de viajes se sitúa en 89 millones de personas. Asimismo, recordó que este tipo de personas "normalmente no viajan solos", de modo que existe "un efecto multiplicador del 0,5", con lo que el mercado potencial en Europa se eleva a 133 millones de personas. El gasto medio por viaje en la UE en 2003 era de 620 euros por persona, de manera que el volumen de mercado ronda los 80 billones de euros, en función de los datos aportados por Zorrilla. Tras insistir en que se trata de "un mercado muy amplio y con un gran potencial", indicó que el nuevo programa pretende potenciar la mejora de la accesibilidad "en términos de calidad, seguridad y confort para todas las personas". El programa se ha estructurado en tres fases: creación del modelo de accesibilidad, desarrollo de la prueba piloto y lanzamiento del proyecto. En la primera de ellas se han analizado buenas prácticas tanto a nivel nacional como europeo e internacional, como la Red de Turismo Accesible Europea y la apuesta de EIDD (European Institute for Desing and Disability), entre otros. El modelo de accesibilidad se pretende desarrollar en todos los subsectores del turismo vasco, desde alojamientos o restaurantes hasta las oficinas de turismo y centros de interpretación. Se han marcado cinco tipos distintos de diversidad funcional: para personas usuarias de sillas de ruedas, para ciegos o con deficiencia visual, para personas sordas, para quienes tienen capacidades cognitivas restringidas y para personas con dificultades respiratorias o que requieren dietas específicas. Se tienen en cuenta además tres niveles (accesible, moderadamente accesible y no accesible). En función del cumplimiento de los requisitos, se creará un 'sello de accesibilidad'. A partir de la creación del modelo, se realizó una prueba piloto en 200 establecimientos turísticos el a?o pasado. Estos recibieron una formación previa, a través de Euskalit, y se les diagnosticó su situación en materia de accesibilidad. Los establecimientos participantes en el programa han podido acceder a la financiación de las mejoras que se identificaron, para así incrementar su calificación. A finales de 2009 se habrán diagnosticado 430 establecimientos (200 el a?o pasado y 230 éste). Hasta este momento, en Gipuzkoa han participado 194 establecimientos, 69 en álava y 66 en Bizkaia. Por subsectores, han formado parte de este programa 187 alojamientos, 46 centros de interpretación, las 42 oficinas de turismo de Itourbask, 39 restaurantes y 15 bares y cafeterías. A partir de ahora, según explicó la viceconsejera, "queda ampliar el modelo a otros subsectores turísticos y de otros ámbitos (cultura, comercio, medio natural), coordinar con otros agentes la creación de destinos para todos (diputaciones, ayuntamientos), incorporar información en los soportes habituales de promoción, así como sistematizar la entrega del sello de accesibilidad y el diploma de compromiso o incluir el turismo para todos en los productos turísticos". You and co-workers will want to attend the Creating Accessibility-Friendly Environments Forum. Disability organizations, government and business come together to make the case for organizations to become "accessibility-friendly". This forum will "open your eyes" to what each of us can do to better accommodate the seventeen per cent of Canadians with disabilities. Presenters include Government of Ontario, Service Canada, Microsoft, Deloitte, Adobe plus representatives from the following disability associations: March of Dimes, Canadian Hearing Society, CNIB, Learning Disabilities Association of Canada. Attendees to this forum will learn that creating accessible environments is easy, and is as much a responsibility of individuals as it is of governments and business organizations. In addition to distinguished presenters, there will be demonstrations and 'how-to'workshops. This forum will help to overcome misunderstandings about barriers to those with disabilities, accommodations and what are assistive technology devices. Attendees will learn how to easily generate basic documents in MS Word, PowerPoint and PDF files so they can be accessible to those with disabilities. Governments, City of Toronto, federal, provincial will outline programs as they affect accessibility. The city of Ottawa will discuss their process to compliance for accessibility regulations under the Government of Ontario's Accessibility for Ontarians with Disabilities Act. Vendors talk about accessibility and their product. Disability associations talk about the 'business case' for organizations to create accessible environments. You talk about your 'clientele', with statistics, perhaps a profile and the financial benefits for organizations to remove barriers. An estimated 10 per cent of the world's population, or 650 million people, live with a disability. In Asia and the Pacific, the population of persons with disabilities could be as many as 400 million and the number is increasing due to multiple factors including that of population aging. Persons with disabilities face all forms of discrimination and prejudice as well as all types of barriers. Rights-based and comprehensive policy actions should be taken. Barriers should be removed and participation of persons with disabilities in all relevant decision-making processes should be ensured. To attain these goals in the region, ESCAP works with Governments, representatives of disabled people's organizations and experts on human rights laws and accessibility, and provide effective policy options, useful data and information, and promote multi-stakeholders networking. Our mandates are the Biwako Millennium Framework for Action towards an Inclusive, Barrier-free and Rights-based Society for Persons with Disabilities in Asia and the Pacific and its supplement, Biwako Plus Five within the framework of the Second Asian and Pacific Decade of Disabled Persons (2003-2012). Our work is also guided by the Convention on the Rights of Persons with Disabilities (CRPD). UNECAP collaborated with the Colombo Plan Secretariat to organize this training workshop on raising awareness on mainstreaming disability rights and concerns into national development across all sectors. The training was specifically designed for public sector officials in positions of responsibility for decision-making. Some 20 participants from the Colombo Plan member countries participated in the workshop. UNESCAP joined hands with the Royal Thai Government and JICA (Asia Pacific Development Center on Disability) to organize this training workshop of trainers to strengthen capabilities in improving access in UNESCAP developing countries. Beginning this year, APCD will be the main organizer of this training course. APCD is the joint initiative of the Government of Thailand and the Government of Japan through JICA. APCD has been established as a legacy of the Asian and Pacific Decade of Disabled Persons which concluded in 2002. Around 30 participants from nine countries, including policy-makers, architects, urban planners, and persons with disabilities attended this two-week training. Barcelona. 30 November to 1 December 2009. In the framework of the EU funded ACCESSI TOURISME project, the Autonomous University of Barcelona is hosting this event, in cooperation with the Generalitat de Catalunya, Catalunya Tourism and other partners. The Symposium is specially addressed to researchers and graduate students,public and private tourism professionals, representatives of destinations, local public bodies, planners, policy makers, promoters, consultants, managers and tourism providers. HC Josep HUGUET, Minister of Innovation, Universities and Enterprises, Generalitat de Catalunya. Mrs. Hermeline MALHERBE, Conseillère Générale, Chargée de la Commission des Personnes Handicapées et du Développement Durable. Mr. Joan Carles VILALTA, General Director of Tourism - Innovation, Universities and Enterprise Ministry, Generalitat de Catalunya. Interpretation will be provided from/to Catalan, English, French and Spanish. Download the flyer and Draft Programme from the right hand panel in PDF format. one of the main characters. and click on College TV Awards. O Instituto Muito Especial, com apoio do Ministério do Turismo, realizará o 2o Congresso de Turismo Muito Especial de Pernambuco. O evento acontecerá na cidade de Recife levando à sociedade o conceito de inclus?o das pessoas com deficiência no turismo. O Congresso será realizado entre os dias 30 de novembro e 3 de dezembro, no Recife Palace Hotel, com o intuito de promover e divulgar o turismo para pessoas com deficiência e/ou mobilidade reduzida, além do conceito de inclus?o social das pessoas com deficiência no turismo. Através de palestras, acompanhadas de debates guiados, o público poderá interagir com os palestrantes, esclarecer dúvidas e abrir a discuss?o de outros temas relacionados à tecnologia assistiva e a pessoa com deficiência. Entre os tópicos debatidos, estar?o a fomenta? ?o do turismo para pessoas com deficiência no Brasil, a minimiza? ?o do preconceito, a melhoria da qualidade dos servi?os de turismo para pessoas com deficiência, assim como o estimulo à quebra das barreiras arquitet?nicas e atitudinais. Tomoko Ishikawa on the "Good Design Awards"
Tomoko Ishikawa writes that Japan's Good Design Awards "leads to the creation of superior objects and conceptual embodiments. By addressing the environments that encircle our lives, design drives our own development and leads to a stronger and sounder society." A new website on Access Tourism in New Zealand and worldwide has been born. Go to http://www.accesstourismnz.org.nz for news, reviews, and opinion pieces on Access Tourism. 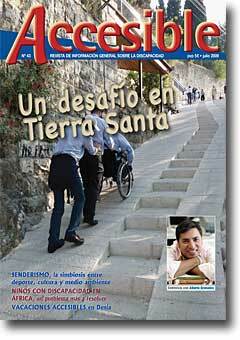 Access Tourism is tourism for people with disabilities. Already a huge untapped economic market, the number of people with disabilities worldwide is set to grow with the ageing of the large Baby Boomer generation because disability increases with age. While study of, and planning for, this market proceeds elsewhere, NZ lags by virtually ignoring the sector. Our major rival Australia, our major tourist sources, and international bodies such as the EC, UN, ASEAN, ESCAP etc have all been studying, planning, and strategising for the development of Access Tourism for a number of years now. NZ ignores this market to its detriment. We welcome feedback, comments, articles, news pieces, or opinion pieces you may like to submit. We can be reached via the contact form, or by comments on the website itself, or subscribe using the RSS feed button. The development of global studies has increasingly called for a cross-cultural and comparative approach to questions of marginalization, stigma, diaspora and resettlement, labor and exploitation, climate change, and the world-ranging production of impairment and disability from violence, inhumane treatment, crumbling infrastructure, and environmental degradation. A significant amount of scholarship also examines new resistance cultures and the galvanization of global networks as members of diverse disability communities try to navigate productive collaborations across newly wired cybernetic systems and claim the possibilities offered by globalization. New opportunities and new problems abound around forging transnational communities, increased mobility, health and charity tourism, the implementation of universal rights, increased transparency of states and organizations, better community-based rehabilitation, and more varied work possibilities. This year's Society for Disability Studies conference features the theme "Disability in the Geo-Political Imagination" to spur ongoing efforts in interdisciplinary analyses. Such a theme arrives at a timely moment in the wake of the signing of the United Nations Charter on the Rights of People with Disabilities by leaders in 140 nations (including, most recently and somewhat belatedly, the United States). As a result of the emergence and ratification of this convention, disability has become a more visible topic within the public sphere. Nations, perhaps including the United States, that previously undervalued disabled populations now contend with what it means to be truly inclusive. Likewise, Disability-advocacy organizations now seek to make further claims upon the state as a guarantor of rights and liberties. This SDS conference theme includes proactive responses to the critique that disabled populations, particularly those which are disproportionately poor and people of color, are ill represented, under-analyzed, and under-theorized, in the context of global studies. As the local and global may be seen as inflecting each other, so can questions of disability, race, class, and gender. Disability studies explores the distance that exists between popular representations of disability as tragic embodiment, and politically informed disability cultures that define themselves against such devaluing views. Authors of panel and paper proposals will ideally feature new ways of conceptualizing people who experience disability as social actors connected or disconnected on a global scale. In particular, the SDS Program Committee seeks entries from those areas of inquiry that resist, revise, and re-imagine contemporary understandings of human differences and embodiment such as critical race studies, feminist/womanist studies, class-based analyses, queer studies, trans-gender studies, and other critical perspectives linked to social justice initiatives. While proposals for any topic are always welcome at SDS, we offer a suggested theme each year. This year's theme encourages submissions that attend to local conditions, including those in our host city of Philadelphia, within a global context and to cultures of empowerment and resistance within the complexity of global exploitation and opportunities. The board of the Society for Disability Studies recognizes the unfortunate scheduling conflict of this year's annual conference with that of the Canadian Disability Studies Association. In keeping with this year's theme of the "Geo-Political Imagination," and in order to encourage continuing productive exchange of knowledge across our borders, both groups are making all efforts to adopt innovative strategies for connecting the events virtually through live interactive video and special programming. Look for an addendum to this CFP with the details of these opportunities in the next few weeks. Questions about the application process or other administrative matters may be directed to the SDS Executive Office at < Trang web cá cược trực tuyếnconference @disstudies.org >. La Federación de Asociaciones de Personas con Discapacidad Física y Orgánica de la Comunidad de Madrid (Famma-Cocemfe Madrid) y la Fundación Parque de Innovación La Salle han firmado un convenio de colaboración para potenciar la accesibilidad universal y el dise?o para todos. Según informaron hoy las citadas entidades, el convenio pondrá a disposición de la sociedad el conocimiento de las tendencias, conclusiones y buenas prácticas más significativas en el ámbito de las soluciones innovadoras con la accesibilidad y el dise?o universal, tanto a nivel nacional como internacional. Entre los objetivos del acuerdo de Famma y la fundación figura la creación de un observatorio temático relativo a la innovación en el ámbito del dise?o universal, identificado con un portal vertical, que apunte a una audiencia específica y especializada. El propósito de este observatorio será, según Famma y La Salle, "capturar, organizar, interpretar, transferir, compartir y generar información, con miras a promover el desarrollo y optimización de las ventajas originadas para las personas, empresas, organizaciones e instituciones por la aplicación de los principios del dise?o universal". Para Famma, "es importante que instituciones como La Salle cuenten con la federación como expertos en accesibilidad en beneficio del colectivo de personas con discapacidad". Turismo activo adaptado en la costa mediterránea Francesa. Provence Alpes C?te d'Azur, première région touristique de France, propose une gamme de loisirs accessibles à tous et participe activement au développement du label tourisme et handicap. Lap Packing with Craig Grimes: Barcelona! Pacific (ESCAP) and Takayama City, Gifu Prefecture, Japan. It will take place in Takayama from 24 to 26 November 2009. A Paralympic Games Impact report out of China says that the impact indicators could be put into three categories, including conceptions, organization and deployment of material and manpower. The perceptions of the public for example toward people with a disability have become that of an open understanding of equality and diversity. Specifically, the change includes people's attitudes toward people with a disability, toward their participating in social activities and their enjoying of social rights and interests, and their image among the public. The report continues, comparing two survey results, and showing that the public evaluation of the Paralympics impact on public perceptions of people with a disability was much higher after the Games than that before the Games. In 2006, about 89% of able-bodied people and 86% of people with a disability held a positive view that the Paralympics would help improve the social status of the people with a disability, while in 2008 after the Games was over, the two figures rose to 98% and 93% respectively. Back in 2006, around 95% of the able-bodied people and 89% of people with a disability believed that the Paralympics would encourage the public to pay more attention to the group, while in 2008 after the Games had ended, the two figures reached 97% and 92% respectively. And, in 2006, 93% of the able-bodied people and 87% of the people with a disability held that the Paralympics would help earn people with a disability more respect from the public, while in 2008 when the Games were over, the two figures rose to 98% and 91%. Facts and figures show that in 2006 an overwhelming majority of people held a positive view on the influence of the preparation and hosting of the Paralympics in changing public perceptions of people with a disability, and in 2008 when the Games were closed, the actual general public evaluation in this regard was much higher than expected. It is therefore safe to say that the Paralympics is a success in bettering public perceptions of people with a disability, elevating their social status, capturing more public attention to them and earning them greater respect from the general public. Who was the first PwD to lead an expedition to the South Pole? Who was the first PwD to lead an expedition to the North Pole? Who is the PwD leading an campaign to educate business in the UK on the consumer potential of PwD? It's the same name for all three questions. Although it does not take the final step to clearly articulating inclusion - rather than simple accessibility - as the final goal this presentation by Michael McGrath makes one of the most lucid and concise arguments on the business case for inclusion in the context of the UK that I have seen. Strongly hinting at inclusion, and the contribution of disability culture to business culture that is Universal Design, McGrath observes, "I believe that the business case must be closely aligned to the organization's purpose, values, and culture" and that compliance can "add greater brand and stakeholder equity as well as revenue to your bottom line." The numbers are compelling. The legal mandate is strong. Those who heed Michael McGrath will find themselves ahead of both the business recovery wave and demographic trends. -￡91bn is the estimated annual spending power of disabled people in the UK today. Next year, approximately 40% of the UK population will be over 45yrs of age, the age at which the incidence of disability increases exponentially. If your business is not profiting from difference, you can be sure one or more of your competitors is. If your organisation is serious about leveraging its brand in appealing to this demographic group or your business wants to drive additional revenue by exploiting the disability business case, my business comprises a team of highly experienced consultants with outstanding global credentials and in-depth knowledge. No Brasil o movimento para um turismo inclusivo - um turismo para todos - tem base seguro no movimento dos direitos humanos e uma filosofia de desenvolvimento sano, responsavel, e aberto aos principios de geoturismo. Turismo inclusivo tem fims de extender a participa? ?o social de cidad?o e turista com deficiência. A Brasileira que mais torce para esses direitos e em quem confio com meus projeitos e pesquisas é a RosangelaBerman Bieler. Por isso, e por causa duma vida de servi?o a nossa comunidade desde um palco eficaz international, apoio a indica? ?o de Rosangela Berman Bieler submetida pelo CVI Rio, para o Prêmio Direitos Humanos da SEDH, na categoria Garantia dos Direitos das Pessoas com Deficiência. A Secretaria Especial dos Direitos Humanos da Presidência da República (SEDH/PR) abre hoje as inscri? ?es para sugest?es ao Prêmio Direitos Humanos - edi? ?o 2009 - 15a Edi??o. Os interessados devem acessar a página da SEDH na internet (www.sedh.gov.br), onde está disponível o regulamento e a ficha de sugest?o para ser preenchida e enviada por e-mail. Poder?o ser sugeridas pessoas físicas ou jurídicas que desenvolvam a? ?es na área dos Direitos Humanos. As sugest?es dever?o ser encaminhadas para o endere?o eletr?nico pdh@sedh.gov.br até o prazo final de 8 de novembro de 2009. Os vencedores ser?o conhecidos em dezembro, ponto alto das comemora? ?es da Declara? ?o Universal dos Direitos Humanos. Ready for World Cup 2010? Get your Safari on! There you will see a small logo on the right hand column which will take you to the local Association for the Physically Disabled. That page will detail the various support and advice that will be offered to visitors coming to Port Elizabeth. But what about before and after games? What to do? Epic Enabled has just published its itineraries for travel throughout South Africa: Kruger Park safaris and side trips to Johannesburg and Cape Town. I have personally experienced these tours - and Epic Enabled's hospitality - and can recommend them. Download the flyer as .pdf here. The Inclusion Champion is selected each year by a panel of experts in the field, and is presented during the Kids Included Together (KIT) annual conference in April. The award consists of a trophy and $1000 donated to the charity of the Champion′s choice. Photos, media articles and support letters may be attached (note that these items will not be returned). This beautiful accessible villa has a private enclosed garden, pool, and hot tub, just 5km from the coast. 2-bedroom self-catering villa with spiral stair to additional mezzanine bed-space overlooking lounge. Superb semi-rural location close to Almancil and local amenities. Easy access and quiet romantic seclusion for Honeymoon couples, families, elderly or disabled people. Underfloor heating. Wheelchair friendly design. Short drive to many local attractions, beaches, tennis and golf. "Winter- Special": Save over 10% off a 7-nights stay between Wed 7th and Sat 31st October. Usual price €485 (￡435) per week reduced to €435 (￡390) a week, accommodating up to 6-persons for less than ￡56 per day or less than ￡10 per person per day. Mobility equipment including wheelchairs, mobile hoist, Scooter hire, and cars with hand controls, can be arranged subject to availability. Ask for "Accessatlast Winter Special Offer". Excludes 9th Dec - 8th Jan (available at special price). A 4star quality and M3 mobility rated accommodation. A superb and very accesible 18th century self catering holiday cottage which has a hoist, situated on a traditional family farm in an area of outstanding natural beauty close to the Dartmoor National Park and the maritime city of Plymouth. This 3 bedroom Majorca accessible Apartment is situated in the centre of Puerto Pollensa close to the town square. This central location means restaurants and shops are easily accessible, the beach and pine walk area are less than 50 metres away. Any week from Nov - March 2010 is ￡299.00 per week. The price is for the apartment and not per person. This 2 bedroom Majorca accessible Apartment is situated in the centre of Puerto Pollensa close to the town square. This central location means restaurants and shops are easily accessible, the beach and pine walk area are less than 50 metres away. November to March is ￡299.00 per week or for a month only ￡799.00. Price is for the accommodation per week and not per person. A luxurious 2 bedroom 2 shower wheelchair accessible spacious open plan apartment, set in a tranquil location in an area of unspoilt beauty commanding spectacular views over oak/cork plantations to the mountains and sea. Luxurious and Spacious 2 Bedroom 2 Bath/Shower Apartment,Wheelchair Friendly, commanding fabulous Sea Views, on small exclusive complex. The Mill & Stable (left) is one of 2 barns that are situated in Llansadurnen - a short walk from the town of Laugharne. They overlook long rolling fields with great views as far as the eye can see. No expense has been spared on the interior of the barns, they are decked out with the finest wood, stone and glass that money can buy. Friendly B&B in Somerset which is disabled friendly with a private Woodland retreat with nature trails and wildflower meadows with 10 acres in all, south-facing on the Polden Hills. Longe weekend booking for 2, Friday, eve to tuesday, morning.In twin bed room with en-suite.This will Inc, Bed & Breakfast AND Evening meals. The top ten most visited accessatlast accommodation adverts of the past month. Holidays for all! Whether you want to relax, get fit or just try different water sports then visit Mar Y Sol in Tenerife. There is accessible transport for pickup/dropoff at the airport. Panorama Park Hotels is one of the very few hotels that is accessible, own accessible buses for transfers, offer free mobility equipment like hoists and shower chairs available but also offer All-Inclusive board. If you&#039;ve never visited Turkey, you&#039;ll love this hotel. Free accessible bus transfers to local town and Marmaris is only 5 euros away. *As Seen On TV* A charming family run hotel in a stunning, rural area of Southern Spain offering the highest level of accessibility. Suitable for individuals, families or groups. Choose the package to suit you; Full Board with airport transfers & excursions, Half Board with airport transfers, Room Only, B&B or as a large self catering villa. It is the perfect place to relax away from the hustle and bustle of the Costas or as a base for exploring the fascinating Axarquia Region. This 4 star sea-front hotel is a great favourite with our clients, if you are looking for Fun, Warmth, great access and level access promenade for miles... all at a great price! here you are. The West Shore is situated where the twin limestone peaks of Great and Little Orme meet in Llandudno, the Queen of Welsh resorts. A superbly positioned spacious villa overlooking a very private sunny pool and enjoying wonderful views, set in this lesser known scenic area of the Costa Blanca, 45 mins. north of Alicante airport. Wheelchair users and their families enjoy comfortable, independent accommodation in a peaceful setting yet convenient to accessible beaches and all the facilities and attractions required for a wonderful holiday. This is a superb resort! The first time we saw this beach, I thought I was seeing things... concrete to the sea edge? Wheelchair level deck chairs? A truly accessible Oasis in the Sun! La Fresnaie, built in 2007, stands on a ? acre plot. in the small hamlet of Le Haut Fresnay.The house has been designed and built to take account of the needs of disabled people.It offers ground floor accommodation, including a wetroom style bathroom, all with good accessibility for wheelchair users. We have only a few weeks remaining to be let during 2010. Please check our own website for details of availability before contacting us (Owners Website button above). "Se olhar para as principais referências sobre o turismo mo?ambicano, a nível mundial, poderá notar que as maiores e melhores revistas sobre turismo fazem elogio àquilo que acontece no país"
O governo definiu como um dos objectivos do quinquénio tornar Mo?ambique um destino turístico de classe mundial. Ao fim destes cinco anos, já se pode dizer que mo?ambique "é um destino turístico de classe mundial? Posso dizer que Mo?ambique é um destino turístico de referência a nível mundial. O país desenvolveu um segmento de taxa de densidade de alto rendimento, que permite desenvolver empreendimentos de luxo, mas com pouca press?o de volume de pessoas que se deslocam para lá. Trata-se dum produto virado para um segmento muito específico, que é daqueles turistas que seleccionam com muito rigor o local onde pretendem ir, pretendem ter sossego, querem ter tranquilidade, contacto com a natureza e querem ter uma rela? ?o muito intensiva com as comunidades e pesssoas que se encontram no local. Desenvolvemos e conseguimos posicionar-nos. Se olhar para as principais referências sobre o turismo mo?ambicano, a nível mundial, poderá notar que as maiores e melhores revistas sobre turismo fazem elogio àquilo que acontece em Mo?ambique, particularmente no arquipélago das Quirimbas. Já fazem referências ao Niassa; ao arquipélago do Bazaruto, onde temos estancias de belíssima qualidade; e também à cidade de Maputo devido à sua actividade muito vibrante, à característica muito especial da relac?o entre o turista e a popula? ?o local, bem como o negócio informal. neste sentido, podemos dizer que mo?ambique é um destino de referência a nível mundial. Uma das constata? ?es do plano estratégico para o desenvolvimento do Turismo 2004/2013 era de que a imagem e o posicionamento de Mo?ambique como destino turístico permaneciam obscuros, muito por for?a de falta de órg?os direccionados para a realiza?ao de actividades de marketing e a fraca ou a quase inexistência de estratégias sectoriais de marketing. Neste mandato, o Governo aprovou o plano nacional de marketing turístico, com o objectivo de inverter este cenário. Qual tem sido o real impacto na mudan?a de percep? ?es sobre o país no mundo? Tenho que dizer que a nível mundial Mo?ambique deixou de ter imagem de guerra, fome e carência. Passou a ser um país alegre, um país de referência. As pessoas quando falam da cidade de Maputo dizem que é um país alegre, onde as pessoas têm uma boa rela? ?o com o visitante; olham para as ilhas e arquipélagos e até fazem lua de mel nesses sítios. Portanto, é um país de muita alegria, de muita intensidade e que a imagem negativa que existia do país está desaparecendo (...), de tal modo que n?o devemos deixar de falar dos problemas que existem no país, porque n?o tentamos escamutear nada. Que ac? ?es concretas est?o sendo feitas no sentido de passar essa imagem positiva de Mo?ambique? De que forma esta sendo feito isso? Nós temos estado a convidar jornalistas, no caso de turistas internacionais. Convidamos jornalistas para ambienta? ?o, isto é irem visitar vários destinos, terem uma intera? ?o com o povo mo?ambicano, alguns jornalista andaram mesmo no "chapa cem", para terem o sentido de convívio com o povo e sentirem como é que é a vida real. Sentiram dificuldades, mas ao mesmo tempo sentiram alegria de uma vida muito espontanea e muito alegre, uma vida muito natural e n?o superficial, como muitos vivem em muitos cantos do mundo. Ent?o, temos feito isso, através de férias internacionais, designadas de "Bolsa de Turismo". olhamos como principais mercados a áfrica do Sul, o Indaba que é uma das principais bolsas do turismo a nível do continente africano; a nível da europa temos a bolsa de Lisboa, Espanha, Alemanha e a grande feira da Gr?-Bretanha. Também temos participado nas feiras da China, o que significa que temos estado a procurar ampliar o alcance da nossa mensagem. Participámos também na feira da ca?a dos Estados Unidos, que é uma feira muito especializada para vender o produto de ca?a. Temos estado a fazer publica? ?es de DVD e uma série de elementos que distribuímos, que permitem que as pessoas possam ter uma aproxima? ?o com Mo?ambique. é possível a partir de qualquer parte do mundo saber o que é que é Mo?ambique e que potencialidades oferece? é possível. importa dizer que já n?o é só o governo a fazer isso. Nós já temos várias entidades privadas a fazer isso. Se alguém for à internet e clicar Mo?ambique terá informa? ?es imensas e de boas coisas. Se quiser ser mais específico acerca de Mo?ambique turismo há de ter, inclusive, os destinos, os pre?os e até acesso ao tipo de quartos que lá existem, o ambiente dos estabelecimentos turísticos (...). Recentemente, nós lan?ámos o Geomap para as províncias de Niassa, Cabo Delgado e Nampula. O que é o Geomap? é um sistema que permite visualizar fisicamente, através do papel, o mapa. Por exemplo, se dissermos Mandimba, podemos ver como é que é Mandimba em termos de configura? ?o geográfica, podemos procurar saber que tipo de comida existe em Mandimba, podemos saber que tipo de dan?a existe, como é o povo, qual é a vida quotidiana, que tipo de animais existem e ficámos com uma impress?o completa do país. Estamos a trabalhar para completar todo o país. Portanto, fizemos o modelo ou o projecto piloto através dessas três províncias e vamos procurar completar em todo o país. De alguma maneira há um concenso de que o turismo tem um grande potencial de desenvolvimento em Mo?ambique, porém, também persiste a ideia de que esse potencial precisa de ser traduzido em produtos e servi?os de qualidade aceitável. O que é que se fez durante esses cinco anos no sentido de se potenciar esses produtos e servi?os para que sejam de qualidade? Tenho a dizer que esta é uma das áreas onde temos estado a fazer muito esfor?o. Muito esfor?o porque houve uma explos?o de estabelecimentos turísticos. Os quadros disponíveis nesta área, digámos que eram os mesmos, e come?ou a haver uma espécie de saque de quadros de um hotel para outro, de um lodge para outro, de um restaurante para outro e a forma? ?o n?o conseguia responder a essa procura, sobretudo, quando nós tivemos uma espécie de declínio. O Hotel Escola Andalucia come?ou a n?o ter a presta? ?o que seria de esperar, contudo, tivemos uma participa? ?o do sector privado. Várias empresas privadas iniciaram a sua própria forma??o. encontrámos muitos estabelecimentos, mas n?o encontrámos a qualidade que seria de esperar, daí o grande esfor?o e a campanha que temos estado a fazer no contacto directo com os operadores. Temos estado a trabalhar inclusive com os sindicatos que têm sido os nossos grandes parceiros, no sentido de melhorar a qualidade dos servi?os. Posso dizer que em alguns casos a falta de qualidade n?o é causada pela falta de conhecimentos, mas sim por um certo relaxamento. Um certo sentimento de que bem, as coisas ja est?o feitas e eu já sou chefe de sala, do restaurante, director das comidas e bebidas deste hotel, ent?o n?o me esfor?o mais. Neste momento, o que nós fizemos foi trabalhar no sentido de defini? ?o de carteiras profissionais para os trabalhadores da indústria de hotelaria, e, actualmente, estamos a caminhar para a aprova? ?o final. . Reconhe?o que este é um grande desafio, teremos que trabalhar muito nesse sentido, e a sociedade tem um papel muito importante, que é de exigir em todo o sítio a qualidade. Também ao longo deste mandato foi lan?ada a marca Mo?ambique. Qual é o real alcance da cria? ?o desta marca? Quais s?o os públicos alvos? O que é que se pretende que esses públicos alvos percepcionem dessa marca? Primeiro, dizer que o primeiro público alvo é o próprio mo?ambicano, porque nós procuramos retratar a nossa sociedade, o nosso país e a nossa riqueza a partir daquele logo, que é a marca. Mas também através de mensagens do logo. Afinal, o que está subjacente nesta marca? Em termos de marca ainda estamos no processo de comunica??o. Tivemos um processo de comunica? ?o anterior que foi muito discreto, que visava perceber das pessoas o que é que pensavam, o que é que sentiam do seu país. Ent?o, toda essa opini?o veio gerar a marca. Neste momento, temos que devolver a marca ao público mo?ambicano. Normalmente, quando se fala de turismo no país, a ideia a que se remete é de turismo para estrangeiros. Será que o nosso turismo em Mo?ambique está orientado em grande medida para os estrangeiros e menos para os nacionais? Tenho que dizer que n?o está. Nem que estivessse orientado estaria constantemente a ser contrariado, porque o mo?ambicano gosta de viajar, de visitar familiares. nos estamos em constante movimento e quando saimos de um lugar para o outro estamos a fazer turismo (...). Se procurar neste momento fazer reserva para o fim-do-ano em alguns estabelecimentos hoteleiros poderá ter dificuldades, e as dificuldades n?o ser?o porque vieram estrangeiros. Mas porque os mo?ambicanos teram feito reservas. O problema é todos e n?o só de Mo?ambique. nós queremos contrariar, n?o queremos dizer que o mo?ambicano deve deixar levar por isto, é que as estatísticas do turismo doméstico s?o difíceis a nível mundial. Se eu sair daqui para Inhambane tinha que colocar um poste para verificar, mas através do senso nacional, portanto, - este senso que nós terminamos e que está a ser avaliado -, o inquérito vai dizer quem tem viajado para onde, como é que ficamos um pouco com aquilo que é o turismo doméstico. Coloco-lhe esta quest?o com alguma insistência porque uma das linhas de política definidas pelo governo para o sector do turismo no seu plano quinquenal é a promo? ?o do turismo nacional como veículo de consolida? ?o da unidade nacional e da valoriza? ?o do património natural e cultural. Que ac? ?es concretas terá este turismo expontaneo que as pessoas fazem? Bom, ac? ?es, umas já est?o no terreno e est?o a produzir efeitos, mas nós procuramos estimular e motivar o mo?ambicano a movimetar-se. Os festivais culturais que foram desenvolvidos com apoio de grandes empresas nacionais em Inhambane, Wimbe, na Ilha de Mo?ambique, no lago Niassa, s?o uma forma de estimular as pessoas a irem para lá. Portanto, nós desenvolvemos um festival e o resultado é : milhares e milhares de pessoas se deslocarem para um determinado ponto. Claro, quando agente promove um festival n?o diz: sabe de uma coisa é para promover turismo. Mas o que acontece é que é efectivamente o turismo que lá acontece. Isso é do ponto de vista de actividade. E do ponto de vista de medidas de políticas? Nós estamos na fase de conclus?o de "namoro" com o sector privado. E o "namoro" é este: é que o regulamento da indústria hoteleira e similares definem que poderá haver pre?os especiais para mo?ambicanos, mas o governo n?o tomou uma decis?o administrativa para esse efeito. O que se indicou é que se deveria trabalhar com o sector privado para se definir os termos. O Turismo em Mo?ambique é um sector em franca expans?o, com níveis de crescimento assinaláveis e que muitas vezes supera as expectativas do governo. Atendendo que um dos objetivos do governo neste mandato era de desenvolver um turismo responsável e sustentavel, o que é que está sendo feito de modo a que esta bolha n?o fuja ao controlo e resulte em efeitos nefastos? Esta é uma das grandes preocupa? ?es do desenvolvimento do turismo em qualquer parte do mundo. nós podemos ter números astronómicos, mas estaríamos a fazer aquilo que algumas pessoas chamam de turismo de banana. é um turismo de massas, mas quando se fala de massas n?o é no nosso sentido popular que é de ter muita gente e pessoas sem muitas condi? ?es, que se deslocam a um determinado país, e o que mais deixam nesse país s?o problemas e n?o riqueza. ent?o, por um turismo sustentável o que e que fizemos? Vemos o trabalho como uma máquina integrada, completa. Nós n?o desenvolvemos nenhum empreendimento turístico sem o estudo de impacto ambiental. o impacto ambiental pode ser veto para um determinado projecto. Na dimens?o social, o que é que se tem estado a fazer? os empreendimentos quando acontecem num determinado local procuram fazer a integra? ?o das comunidades, por exemplo, Gorongosa tem feito um grande trabalho para as comunidades locais, é o nosso parque, é um parque do estado, é uma gest?o conjunta com o sector privado, mas o estado está la. Needs of Accessibility and Design for All in Tourism for All: An international conference organised by ProA Solutions, Portugal. Finally, ladies and gentlemen, I would like to reflect on the importance of service excellence in our industry, and the accessibility of our tourism products to ensure sustainable growth. We understand that developing recognised tourism icons alone will not be enough to achieve our long-term growth targets. I believe we must pay more attention to service excellence in particular, as ultimately, it is visitors experience in our country that will make them want to return or not. It is for this reason that our department has partnered with the Tourism Business Council of South Africa to implement a service excellence initiative. A presentation on the progress of the initiative will be made during the latter part of this conference. In terms of accessibility, our industry should also focus on making all our products accessible to all visitors, including those with disabilities. The right to enjoy tourism is an equal right for all. The issue of accessibility is not only an issue with great social dimensions and consequences. Also from a financial perspective, individuals with disabilities represent a large and developing market for the tourist industry. In Europe alone, it is estimated that more than 40 million consumers with disabilities could travel and use tourist infrastructure, if these were accessible. 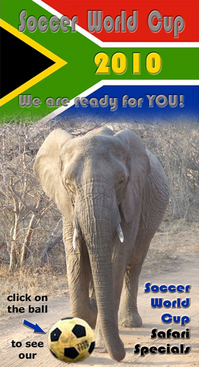 South Africa has all the capabilities to attract and absorb this large tourist clientele. I hope and trust that this matter will be dealt with in a serious manner, in order to ensure that all of us in the private and public sectors work towards accommodating all tourists. View more documents from guest6390726. We have just announced the CavinKare ABILITY Awards for 2009-2010. It is now time for us to identify exceptional persons with disabilities. As we reach out to all of India, we invite you to nominate the person or persons with disability whom you consider worthy of this prestigious award. 1. The Eminence Award which is given to a person with disability, who has not just triumphed over odds, but has looked beyond himself/herself to create an organization for the benefit of others. 2. The Mastery Awards are for persons with disabilities, who have believed in themselves and pursued their dreams against odds to excel in their chosen field. We request you to disseminate this information as widely as possible. You can nominate more than one person. Self nomination is also accepted. All details, including the nomination form are available on our website: www.abilityfoundation.org.